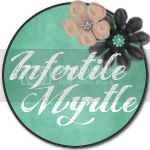 The Infertility Overachievers: IVF #2: And so it begins. Today marks the official start of stims for IVF #2! I guess my mystery "levels" were Ok this morning. So today at exactly 5 pm, I officially started my IVF cycle. Can I just tell you, I totally forgot how much those shots burn. Yikes! Thankfully this cycle I only have to give myself 3, instead of 6, shots a day. Just to give you all a run down (and to keep a record for myself) I am on 225 iu of Follistim, 10 units of Lupron, and 15 units of low dose HCG. The Follistim left a nice little bruise on my stomach already. I'm well on my way to becoming a pin cushion. It's finally here! I'm so excited nervous anxious.... ready. Yes, I am definitely READY! I'm excited for you! I hope this is the month that London becomes and big brother! Yay!! Welcome back to needle land- good luck stimming! So much luck being sent your way! Congrats on becoming a pin cushion again! Because that's what it takes for some of us... I'll be about a week or so behind you in my own IVF 2.0. Good luck!! YAY! I'm not sure what else to say except that you guys rock, and that I'm sending you all my get-pregnant thoughts! Yay! I am sending baby dust your direction! Oh, I also love the new blog look by the way. Yay!!! Hope all goes well! I hope I see AF soon so I can join ya! So excited for you! Yes, I don't miss those shots at all!! But so worth it. You are the first person I've met also doing the low dose hcg! I'm going 1 1/2 vials of Menopur and 40ml low dose hcg. Good luck with your cycle, can't wait to hear the updates! Good luck! 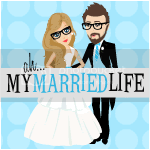 I will be following you closely as we'll be starting probably in March or April so that I know what to expect! Good luck Aly! I'm so excited for you. And I love your new blog design. Very cute! How awesomely exciting! Good luck! Best wishes for a successful cycle! Woohoo!!!! So excited for you!!! Wow, so jealous. Good luck I really hope it works out for you. Yay!!! Sending wonderful happy thoughts your way!